02.120.0752: Plank at Bearing Wall - Interior Wall, Intermediate Elev. This detail shows a precast concrete plank bearing at an interior CMU wall. 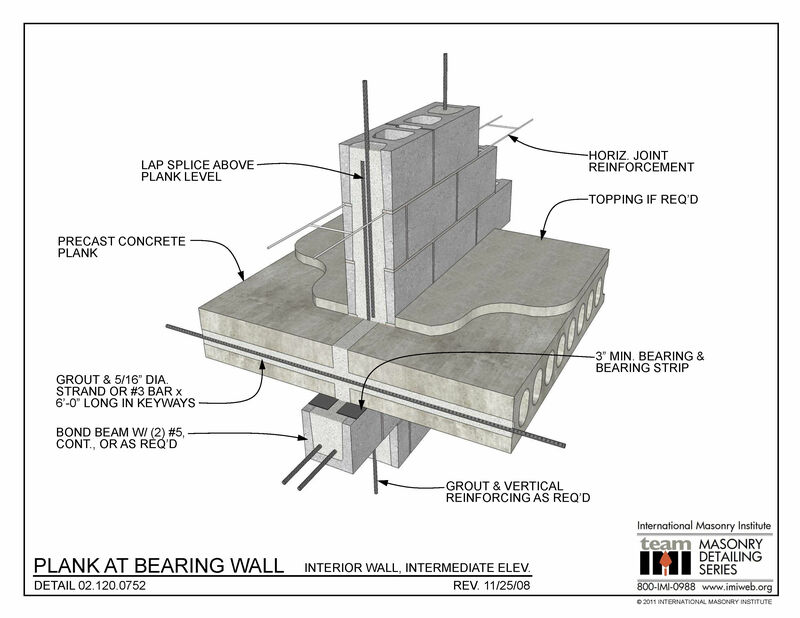 The wall has horizontal joint reinforcement at 16″ o.c. vertically. The plank has continuous reinforcement and grout at the keyways, and the floor bears on an interior CMU bond beam. The wall is grouted and reinforced vertically as required, and the bars are lapped to achieve sufficient development strength per structural design.